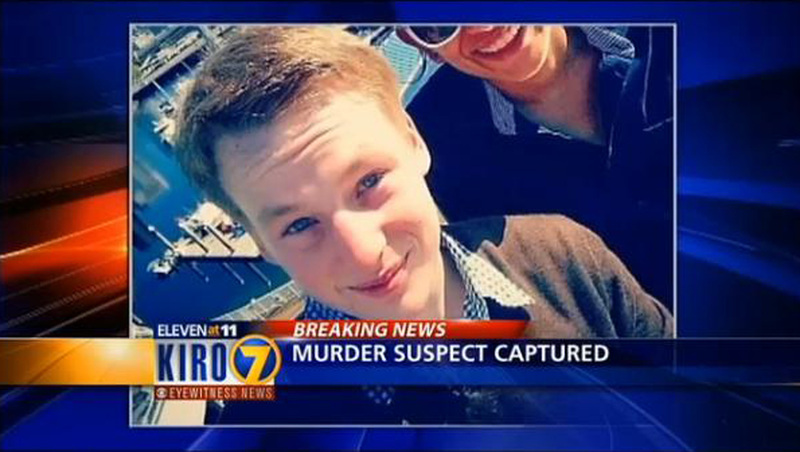 SAMMAMISH, Wash. -- Authorities in Canada have arrested a 20-year-old man accused of the first murder in the history of Sammamish, Wash., a suburb of Seattle, reports CBS affiliate KIRO. Officers arrested Kevin Patterson in a hotel in Abbotsford, British Columbia, almost 12 hours after a man's body was found Wednesday in the Sammamish home where neighbors said the suspect had been living, according to the station. Authorities have labeled the case a homicide and identified Patterson as a suspect, though police have not identified the body or released information on the cause of death. Abbotsford police said they also arrested an 18-year-old man who was at the hotel with Patterson. Authorities in Sammamish believe the teen was present at the time of the murder but do not know if he participated in the killing, the station reports. According to KIRO, Patterson lists Penticton, British Columbia, as his hometown. Neighbor Ginette Carrier told the station she saw Patterson all the time, because her neighbor, Richard Bergesen, took him in earlier this year and acted as a role model to the suspect. "He looked like a very nice kid and Richard took him under his wing to help him," Carrier said. "[Richard] was approached by a pastor from his church to help Kevin." The station reports Patterson was driving a BMW that deputies said was missing from the home. Neighbors said it belonged to Bergesen. Deputies said one of Patterson's friends called 911 Wednesday morning, worried about what might have happened at the home. Some neighbors said they heard screaming. Authorities spent the next 10 hours removing boxes of evidence, including mattresses, from the home, according to the station. KIRO reports it is unclear when Patterson will be extradited back to the United States. The suspect may have dual citizenship. Patterson and the 18-year-old are currently being held in British Columbia on stolen property charges, the station reports. Abbotsford police spokesman Stan McDonald said there was evidence of fraudulent credit card use, and the two men could face additional charges if it is found that they crossed into Canada illegally.